Modular Sovalit - Sovatec Industriale S.r.l.Modular Sovalit - Sovatec Industriale S.r.l. 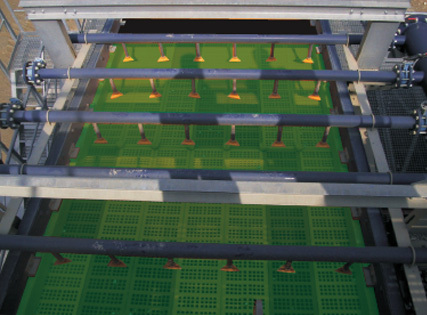 MODULAR SOVALIT divides the screening surface of the vibrating machine in modular modules 1000 x 300 mm is the standard size, but they can be bigger or smaller to match the deck dimensions. The screens work without bending. All modules are easily installed by means of fixing joints. The first setup needs more modifications to the steel frame of the machine, but the replacement of the screens is very quick and does not need screws or bolts. 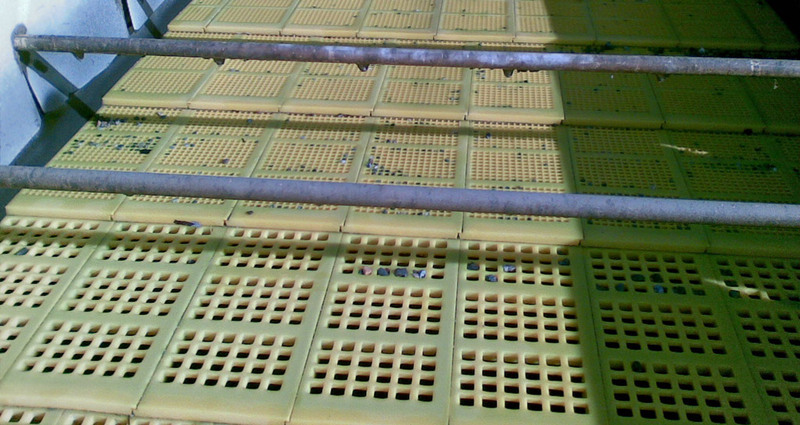 By this system only the worn modules are replaced, so reducing the maintenance costs.